I’ve really enjoyed looking back on my highlights of 2018 and all my travel and eating experiences. People I’ve met, foods I’ve tasted and amazing sights I’ve seen. I visited six Countries and made 26 different trips in 2018. I’ve included France where I live as I travelled to new places in France in 2018. So here’s a round-up in photos of the places I’ve seen, the food I’ve eaten and experiences I have enjoyed. A few of my travels made it up on the blog, most were documented on Instagram and Facebook and some are still waiting for their story to be written! Back to Bangkok early January for a fabulous Bangkok Food Tour on the Thonburi canal – read my full food tour story here. I spent a week in Bangkok at the Bangkok Thai Cooking Academy on a Thai Professional Chefs cooking course. It’s a fabulous course with wonderful Thai chefs that runs on a rolling 4 weeks. You can choose to take one week at a time or all 4 and in any order. It was my third visit and I loved every minute of it. 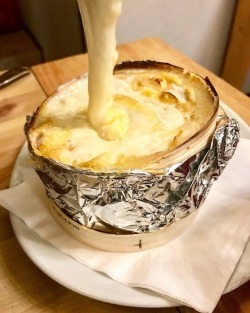 Back to Europe and I visited Lyon the gastronomic capital of France for a few days. Took a food tour, ate great food and saw the sights from the Ferris wheel in Place Bellecour. Living where I do so close to the Frenc Alps, it was time to dust off the skis. I spent a week in Les Contamines, a new resort for me and it was wonderful. Great wide-open slopes, fabulous snow and some good mountain food. Back to one of my favourite places Les Gets for skiing and eating very well. 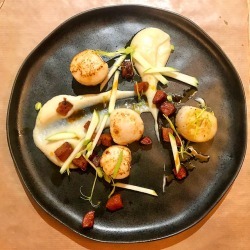 Check out my Les Gets Restaurant guide here. I had a weekend in Weston Super Mare in Spring. This was a new place for me to visit in England and I loved the seaside town feel, the big Ferris wheel and the majestic pier with its 1920’s Art Deco style. Into Switzerland for the Annual Fete de Tulipe in Morges. This six-week long fete now in its 48th year showcases many different varieties of tulips planted throughout the Parc de L’Independence. The Parc runs alongside Lac Leman with the snow covered mountains as a beautiful backdrop. In 2019 The Tulip Festival runs from 31st March – 5th May. In May I cycled around Lake Zurich! This was a first for me both to visit the city and to cycle 106 km around the perimeter of the lake but what a great day cycling. We even had time to stop for lunch in the gorgeous lakeside town of Rapperswill. Time for a detox! May saw me headed to The Algarve in Portugal for a yoga detox retreat week. What an amazing experience, another first for me. I would highly recommend taking time out to treat your mind and body and having time for yourself. I visited Moinhos Velhos in the hills behind Lagos for a peaceful calm week away from it all…yes really away from it all. Next stop Arcachon, The Dune du Pilat and Legere Cap Ferret arguably one of the most wonderful places in France. On the South West coast and only about 45 minutes from Bordeaux this coastal area is known for its seafood and oysters. The Dune du Pilat is 7km long and the largest in Europe, the views from the top looking out over the bay are stunning. Next a quick city break in Bordeaux. A city I would describe as being a big/little city which a population of only around 225,000. The architecture in this city is stunning. The Cite du Vin is a must and eating fine food and drinking Bordeaux wine imperative! And now for something completely different. A week on the Canal du Midi on a Penichette (small boat), booked with Locaboat Holidays. What a great experience and fabulous holiday. I’d like to say it was relaxing and it was in many ways but it was so busy too. On one particular day we negotiated no less than 22 locks (ecluses) We travelled from East to West through villages and towns along the tree-lined canal and under many bridges. Starting in Argens-Minervois. We visited the medieval city of Carcassonne, the village of Trebes, the town of Castelnaudary and home of Cassoulet. Saw several other villages as we cruised along the canal enjoying the scenery and good local food. Our Final stop on this road trip in France was to the Roman city of Arles. Home to Van Gogh and a painters and photographers paradise. We visited during the annual summer Les Rencontres de la Photographie. The whole city showcases photography with numerous exhibitions, photo tours and courses. In 2019 Les Rencontres in Arles runs from the 1st July – 22nd September. Back to the French Alps in summer and hiking in the mountains around Chamonix and Bionnassay. No summer is complete without spending time in Annecy. Cycling around the lake is a great way to see the views. Wandering the streets, enjoying the lake and visiting the markets and local great restaurants. A quick trip back to England for a walk and fresh seafood on Mersea island another old childhood favourite of mine. One thing I love to do is hike in the mountains. So on a day trip to Chamonix, we hiked up to Lac Blanc. We didn’t have the best weather but it was good if a little challenging hike in places. Read more about this hike. Back to Lyon for a quick getaway. There is so much to see, do and eat in this city, I never tire of visiting. This time we ate in one of the best Bouchons, Les Fines Gueules. Walked around The Botanical Gardens in the Parc Tête D’or and visited the Street Food Festival. Late autumn was time for a whirlwind weekend in Devon for a Birthday party. This included a visit to Michael Caines Lympstone Manor which was a real treat. Walking along the beaches, eating great food and enjoying good company. I popped over the border to Geneva to see the Parc des Bastions Son et Lumiere show. This sound and light show with the theme Gravity was organized by The Wright Foundation and the Universite de Geneve. Enjoyed a day out in Annecy and had a good lunch at La Ciboulette. Meanwhile back in Les Gets and the snow had started to fall. Finally another road trip, this time headed north to St. Malo to spend Christmas in The Channel Islands, with a few days in Guernsey and a day in Jersey. 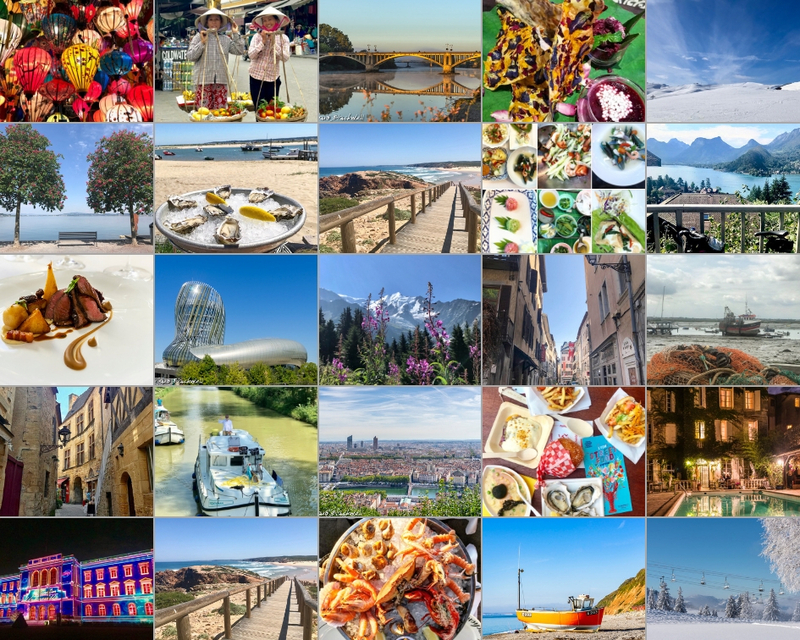 So there is my year in food and travel for 2018, some great adventures, fabulous destinations and happy memories made. I hope you enjoyed my review. If you’d like to know more about any of the places I visited, do send me an email or leave a comment below. Where did you go in 2018? I’m dedicating this post to my Dad, John Gasking who died suddenly in March. He always encouraged me to travel, see the world and enjoy life. He travelled with me ‘virtually’ everywhere through photos I sent him and regular Facetime calls from my many destinations. I miss him every day. What a year you’ve had! It was so lovely to meet you in Bangkok in January, and so kind of you to indulge me in that restaurant choice, I think all four of us loved the meal and Pete and I appreciated your company as well. The rest of the year looks like it’s lived up to that great start, too! It was great to meet you in Bangkok and enjoy a fabulous dinner at Issaya Siamese Club – we loved it! Wow, you seem to have had an incredibly good year as far as travelling is concerned! Every single one of your pictures is gorgeous! I was so lucky, it really was a great year for travel for me.